Roulette presents an evening of Patti Bradshaw’s recent works, featuring two works for solo dancer and one trio piece. Patti Bradshaw is a director, puppet artist, and choreographer. Bradshaw creates original dance theater projects using puppets, performing objects and elaborate costumes in a folk-like style. Her work has been supported by The Jim Henson Foundation and the Harkness Dance Festival at 92nd Street Y. 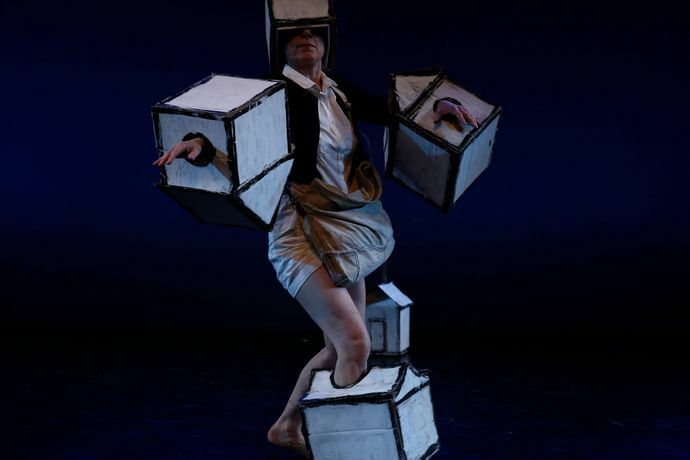 She has been artist-in-residence at Sarah Lawrence College and at Brooklyn Studios for Dance. She was a multi-year member of St. Ann's Warehouse and founding member of PEPATIAN, a performing and visual arts organization along with dancer/choreographer Merian Soto and visual artist Pepon Osorio. Bradshaw has collaborated on several projects with Roulette artistic director and producer Jim Staley at the original West Broadway location. She currently teaches at Sarah Lawrence College.